Helen Riseborough is the Chief Executive Officer. She is responsible for the strategic direction and leadership of the organisation. She works to ensure that WHIN delivers high-quality and effective programs, resources and professional education in collaboration with regional partners and stakeholders. Helen joined WHIN in March 2010. 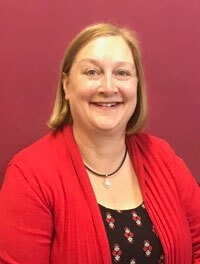 Sandra Morris is the Manager of the Health Promotion Team (on leave until May 2019). 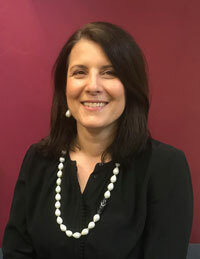 Her key areas of responsibility are providing strategic advice and leadership in the development and delivery of WHIN’s population health work in the region, fulfilling the objectives of WHIN’s Integrated Health Promotion Plan, and managing staff and projects that fall within the scope of the Team’s work. Sandra joined WHIN in April 2007. Sarah Johnson is the Principal Strategic Advisor of the Northern Integrated Family Violence Service (NIFVS), and she manages the NIFVS Coordination Team at WHIN. A key area of her responsibility is implementing the NIFVS Regional Plan with regional family violence service providers, and managing staff and projects that fall within the scope of the Team’s work. Sarah joined WHIN in January 2014. Deb Parkinson is the Manager of Research, Policy and Advocacy and the Gender and Disaster Pod (a collaboration of WHIN, Women’s Health Goulburn North East and Monash University Disaster Resilience Initiative). Deb is responsible for conducting research, developing policy advice and responding to public policy debate to achieve the organisation’s mission and strategic plan, and managing staff and projects that fall within the scope of the Environmental Justice team’s work. Deb joined WHIN in December 2010. Adriana Uteda is the Manager of Corporate Services. Her key area of responsibility is providing on-going development, implementation, maintenance and coordination of WHIN’s administrative, human resources, IT and financial services/systems, and managing staff and projects that fall within the scope of the Team’s work. Adriana joined WHIN in October 1991. Monique Bouma is a Preventing Violence against Women Coordinator in the Health Promotion Team (but Acting Manager of the Health Promotion Team until May 2019). Her key areas of responsibility are prevention of violence and gender equity. Monique joined WHIN in May 2012. Intesar Homed is a Health Promotion Officer. She is a member of the Health Promotion Team. Her key area of responsibility is the provision of health promotion projects and activities that have a specific focus on communities in which the practice of Female Genital Cutting (FGC) is known to occur. Intesar joined WHIN in October 2015. Manasi Wagh-Nikam is a Health Promotion Officer and member of the Health Promotion Team. Her work focuses on ‘Let’s Talk Money’, a financial literacy peer education project working with immigrant and refugee women in Melbourne’s north. Manasi joined WHIN in August 2016. Rebecca Tipper is a Prevention of Violence Against Women Workforce Development Officer. Her key areas of responsibility are supporting the implementation of the Building a Respectful Community Strategy 2017–21 and supporting workforce development in gender equity and the prevention of violence against women. Rebecca joined WHIN in July 2018. Belinda O’Connor is a Health Promotion Officer in the Health Promotion Team. Her key areas of responsibility are the prevention of violence against women and gender equity. Belinda joined WHIN in July 2017. Nisha Liyanage is a Health Promotion Officer in the Health Promotion Team. Her key area of responsibility is reviewing the application of a gendered lens in municipal public health and wellbeing plans of the seven councils in the Northern Metropolitan Region. Nisha joined WHIN in June 2018. Rosie Brennan is a Women’s Sexual and Reproductive Health Coordinator in the Health Promotion Team. Her work focuses on improving the sexual and reproductive health (SRH) of women our region including implementing our SRH regional strategy and overseeing the Family and Reproductive Rights Education Program. 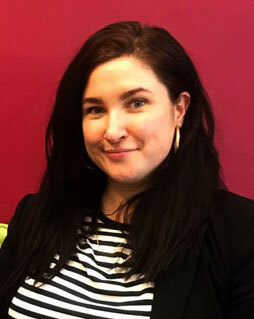 Rosie joined WHIN in September 2018. Sadia Khalid is a Health Promotion Officer and member of the Health Promotion Team. Her work focuses on ‘Let’s Talk Money’, a financial literacy peer education project working with immigrant and refugee women in Melbourne’s north. Sadia joined WHIN in February 2019. Claudia Slegers is a Communications Officer. She is responsible for corporate communications, including print and digital publications and messages. Claudia joined WHIN in August 2016. Narelle Sullivan is a Business Development Officer. Her key areas of responsibility are organisational growth, innovation and sustainability. Narelle joined WHIN in December 2016. Ada Conroy is a Workforce Development Officer. She is a member of the Northern Integrated Family Violence Services Coordination Team. Her key areas of responsibility are project management and the delivery of violence against women education to a wide range of community partners. Ada joined WHIN in September 2012. Robin Gregory is the Regional Integration Resource Officer. She is a member of the Northern Integrated Family Violence Services Team. Her key areas of responsibility are the resourcing, coordination and support of family violence and related services in the northern metropolitan region. Robin joined WHIN in July 2016. Jaspreet Kaur is a Research Assistant in the Research, Policy and Advocacy Team. Her key role is to support WHIN’s research and policy development, with the focus of this work on the impact of natural disaster on gender. Jaspreet joined WHIN in November 2018. Ain Cohen is an Office Administration Worker. She is a member of the Corporate Services Team. Her key areas of responsibility are building positive relationships with stakeholders and providing high standard administrative support. Ain joined WHIN in January 2014. She is currently on parental leave. Helen Anson is an Office Administration Worker. She is a member of the Corporate Services Team. Her key areas of responsibility are building positive relationships with stakeholders and providing high standard administrative support. Helen joined WHIN in September 2017. Giuditta Monsone is WHIN’s Finance Officer. She is a member of the Corporate Services Team. Her key areas of responsibility are providing high standard financial and human resource support and building positive relationships with stakeholders. Giuditta joined WHIN in October 2018. Elizabeth Gray is an Office Administration Worker. She is a member of the Corporate Services Team. Her key areas of responsibility are building positive relationships with stakeholders and providing high standard administrative support. Elizabeth joined WHIN in April 2015.